The generic watch market continues to grow and become more efficient, making counterfeit luxury timepieces more and more difficult to tell apart from their genuine counterparts. 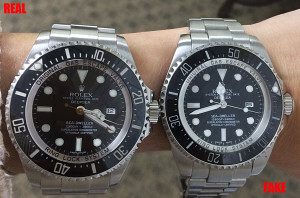 Given the difference in value between replica Rolexes and the genuine article, any potential investor should know the tricks to tell the real from the fake. Here’s a quick list of some of the ways to tell apart the genuine luxury watch and its cheaper knock-offs. If you’ve ever held a Rolex in your hand before, you’ll that they’re fairly heavy timepieces. From the movement to the case, Rolex watches are built with very fine materials and end up being noticeably heavy as a result. Counterfeit watches should feel significantly light and their cases a bit “flimsier” due to the lower quality of the metals involved in their making. While being able to see the inner workings of a Rolex might be really cool in theory, real Rolex watches do not have see-through casebacks—outside of a few rare models from the 1930’s. Any watch purporting to be a Rolex while sporting one of these casebacks should not be trusted. 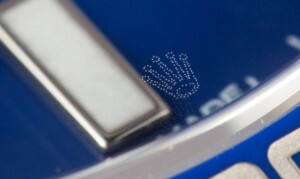 Outside of the Sea Dweller models, Rolex doesn’t engrave the outside of their casebacks at all. 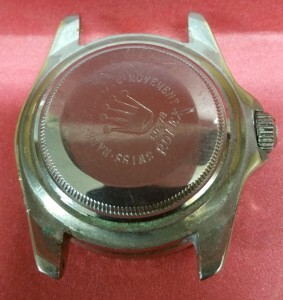 If the back of a supposed Rolex case features word, number, or logo engravings then it is most likely an imitation. 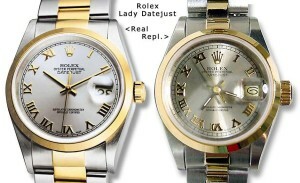 In 2002 Rolex began etching its “crown” logo onto all of its genuine crystals at the 6 o’clock position. This tiny dotted insignia is so small and difficult to see at a glance, making it very difficult for counterfeiters to copy. It might seem silly to mention, but if there’s any part of the watch case/band that is not made from high-quality metal—if it contains plastic, rubber, or any other material—it is definitely a fake. Never buy a watch on the internet unless it has a money back guarantee. Never buy a watch unless you can inspect the movement. Never buy a watch on the street. If the price is too good to be true, it probably is a fake. Know the person or business that you are buying from. When all else fails, compare your watch to the real thing. If you’re still not sure if your watch is a real Rolex, it can be helpful to compare the way your watch looks to the way it is supposed to look. The Rolex website contains a catalog of all the watches Rolex produces, with multiple pictures for each. Find the model of watch you have on the Rolex site, then compare the appearance of your watch to that of the available “reference” images. Pay special attention to the dial — is everything laid out where it should be? If your watch has an extra dial like a chronograph or a date dial, is it in the right place? Are all the inscriptions identical? Is the lettering the same? Thank you Mark I’m at my winter residence as soon as I return home I would like to get a new crystal in my Rolex, Your last repair is still working and running as a Rolex should. GREAT WRITE-UP ON ROLEX. A FRIEND JUST BOUGHT A FAKE SUBMARINER FOR $2000, EVEN THE MOVEMENT LOOKED GOOD EXCEPT THE THREE FIBER WHEELS DIDN’T DO ANYTHING. SELLER STATED FATHER HAD DIED, MOTHER WAS GOING BACK TO MINNESOTA AS SHE HAD DEMENTIA ETC… THEY VISITED SEVERAL PAWN AND OTHER SHOPS IN TOLEDO. APPARENTLY THIS IS THEIR MODE OF PROVIDING AN INCOME. Great story I look forward to more in this series. Some Lady Date models had engraving on the case back in the late 80’s. My wife’s 69240 from 1989 is engraved. I recall it says Rolex Original Design. You serviced it about 6 months ago. Be wary of fake bands too. I ended up with a fake stainless Yacht Master, the watch itself looked close but the real surprising thing was the band. It was literally nearly spot on identical. Even if you knew what to look for it would have passed muster nearly 100% of the time. Seems like there is Fake everything. Hard to tell the good from the bad anymore! Though I do not own a Rolex watch, I find out a lot of valuable information about a genuine Rolex, and how to differentiate a Fake one from a Real one. Thank you so much for a piece of writing like this, Mark.! Another interesting post might be: What qualifies a watch to be called “Swiss?” There was a famous case a few years ago about the factory in China that was contracted to make some Tissot watch models (yes, the supposedly Swiss watch brand). Someone at the factory was taking lots of “surplus” Tissots at the factory and selling them directly on eBay at ridiculously low prices–like $50 for a watch that was $500 at a U.S. store. Many Swiss watch makers have huge operations in China and use a lot of Chinese parts and labor.